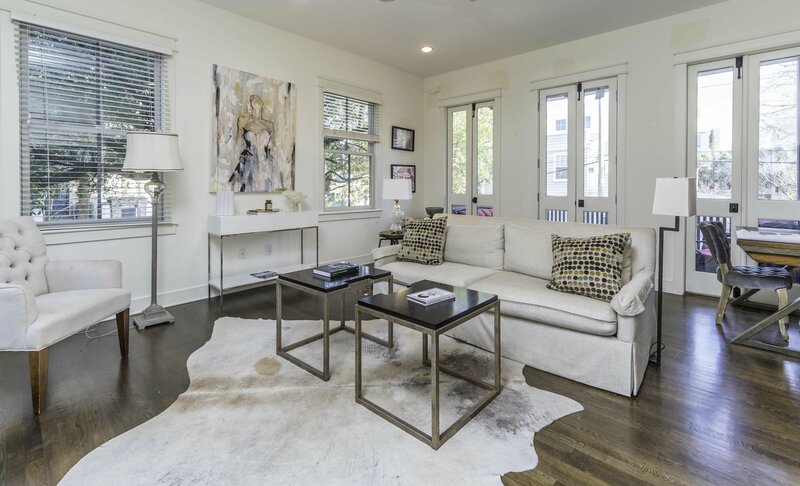 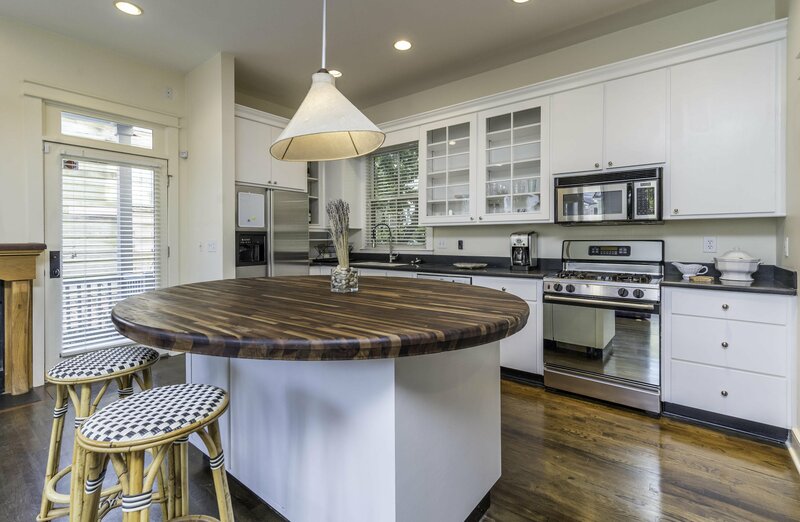 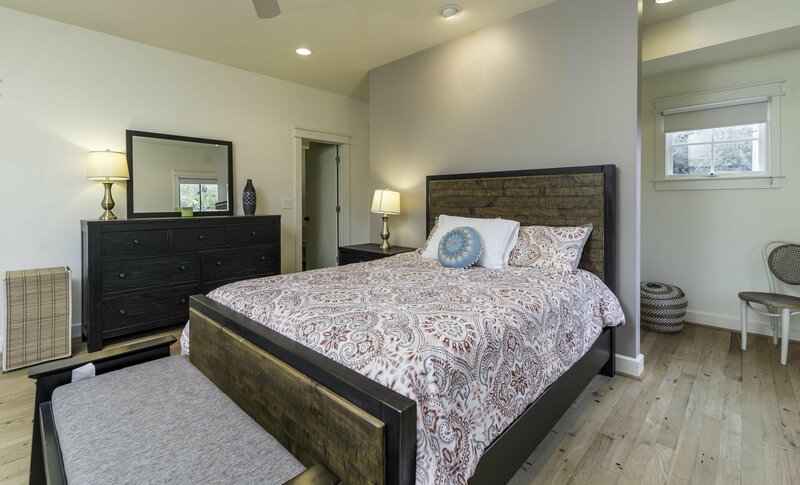 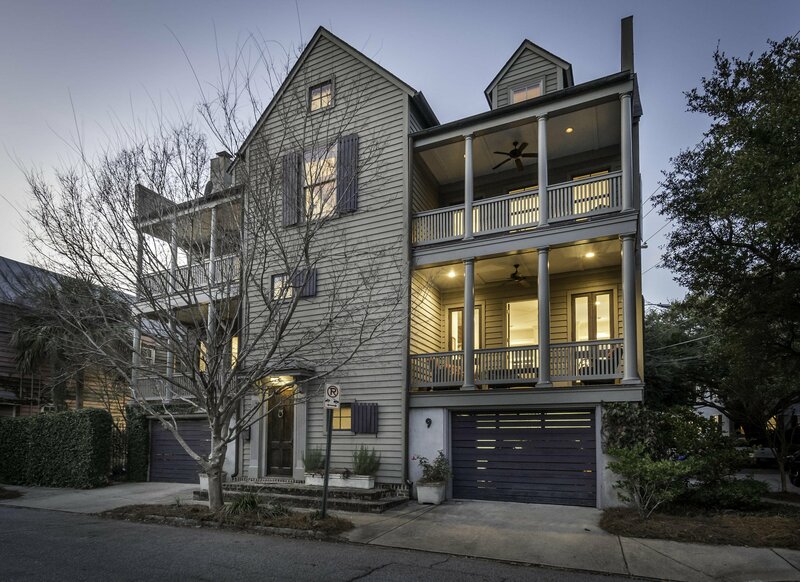 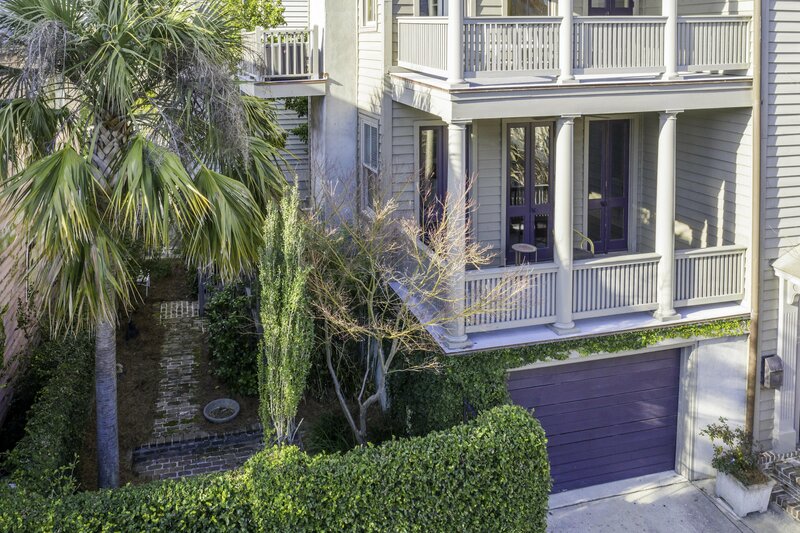 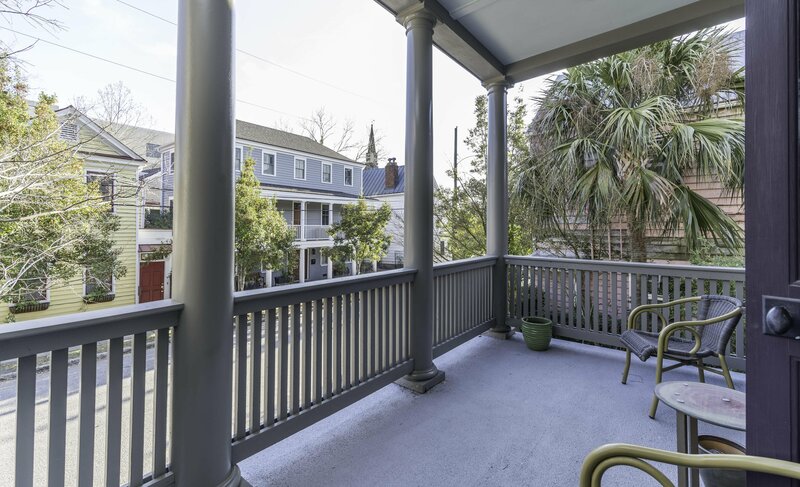 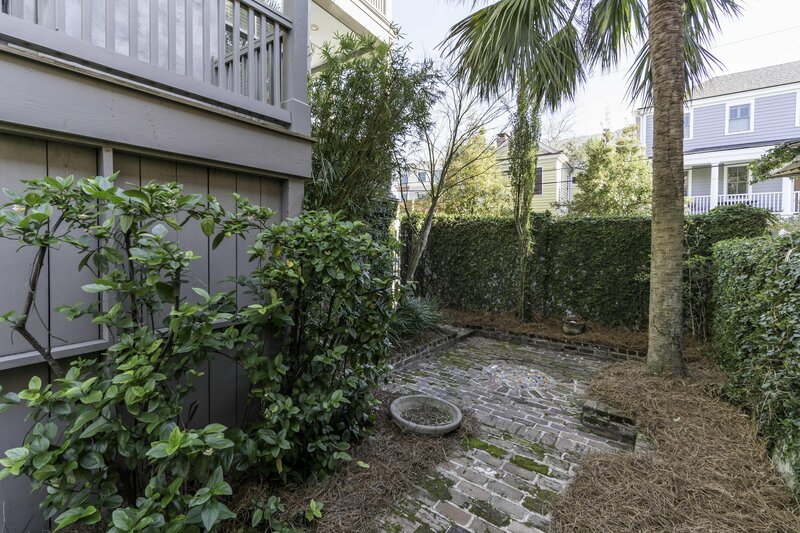 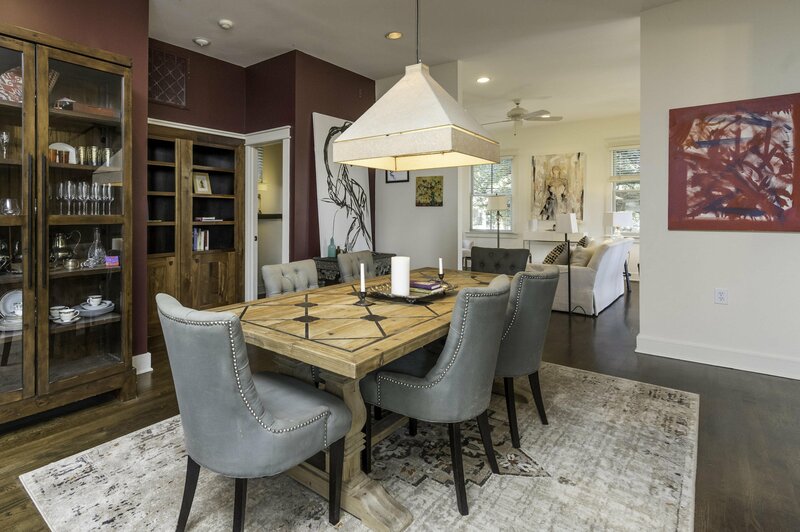 Just a stone's throw from Charleston's world-class dining and shopping, this corner lot showcase combines an impeccable blend of modern amenities with traditional Charleston charm! 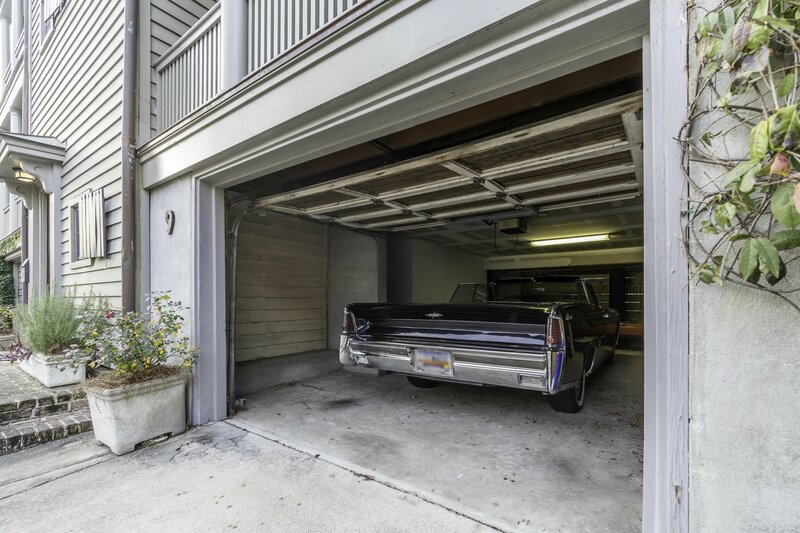 Constructed in 1999, the elevated property was designed by local architect Reggie Gibson, whose portfolio includes the chic and inviting ''Southern modernist'' theme of The Dewberry Hotel. 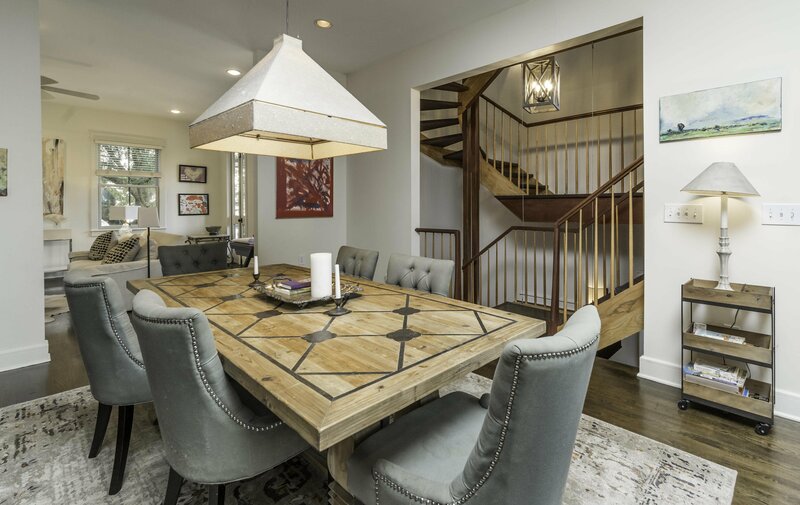 Upon entering the ground-level foyer, visitors are greeted by a stunning, contemporary rosewood and oak staircase, which was designed by a shipbuilder especially for this home. 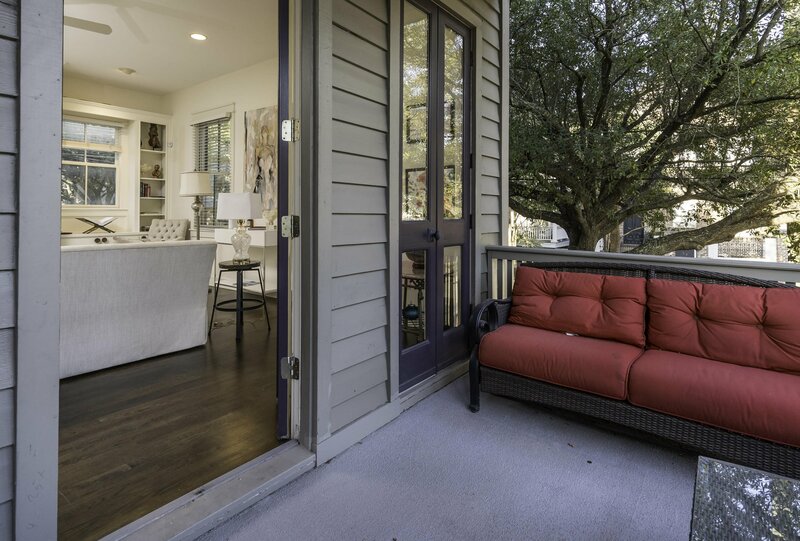 The open floor plan on the main level is perfect for entertaining, featuring balconies which extend from the kitchen and living room, allowing an abundance of natural light into the home. 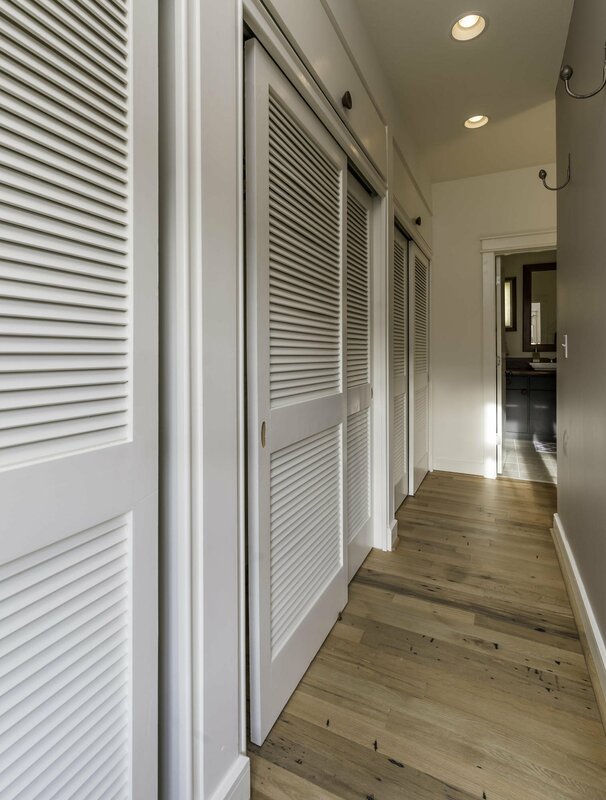 Oak hardwood floors and attractive built-ins come together to create a living space that's both gorgeous and functional. 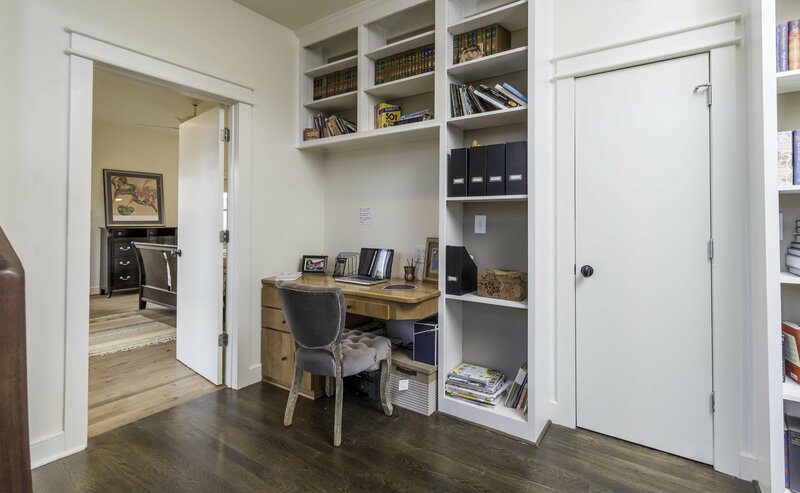 Up the staircase to the next level, a library workspace with floor-to-ceiling bookshelves is situated on the landing between spacious dual master suites.The top floor boasts a third bedroom, full bathroom with soaking tub, and additional flex space suitable for a fourth bedroom, playroom, study, or craft room. 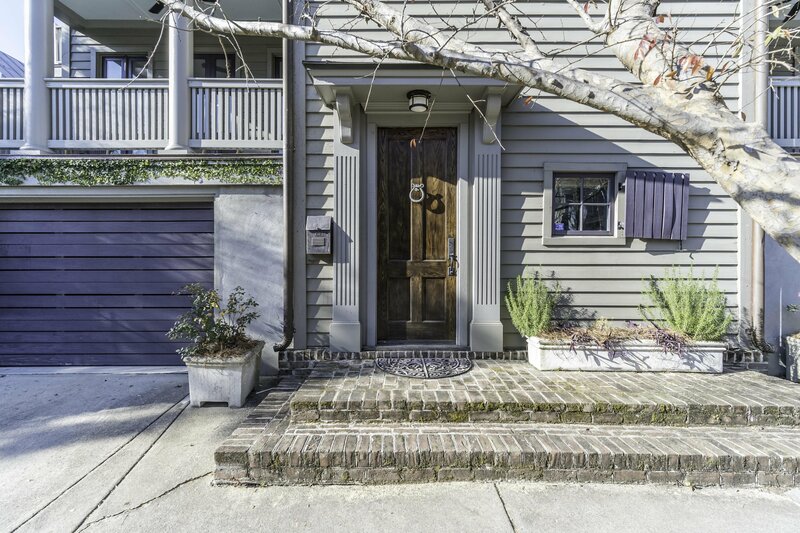 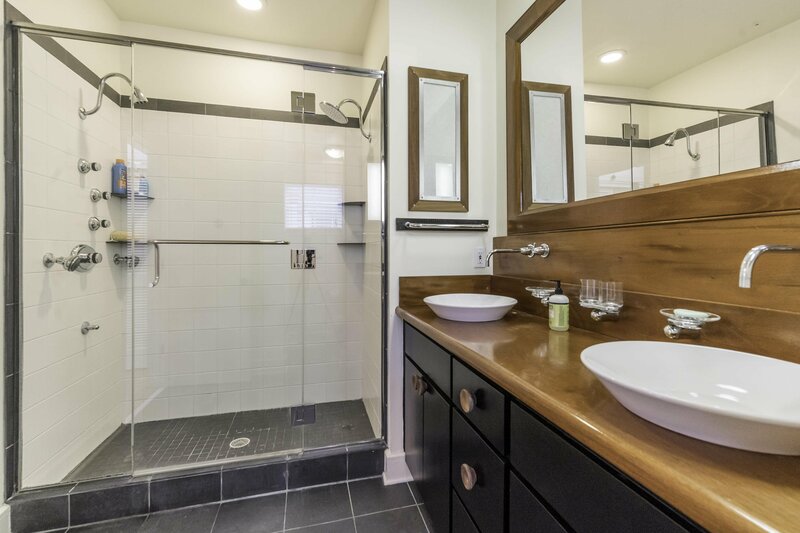 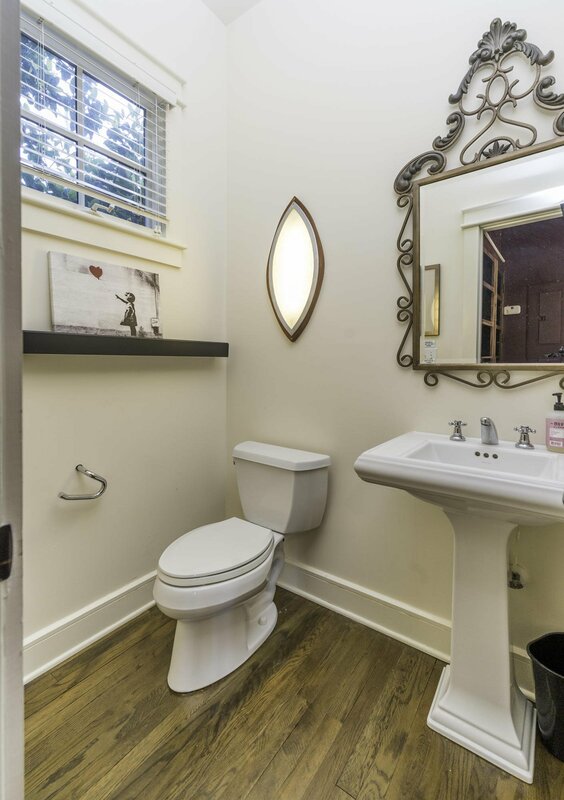 Finally, enjoy the convenience of a two-car garage, expansive laundry room and private brick courtyard. 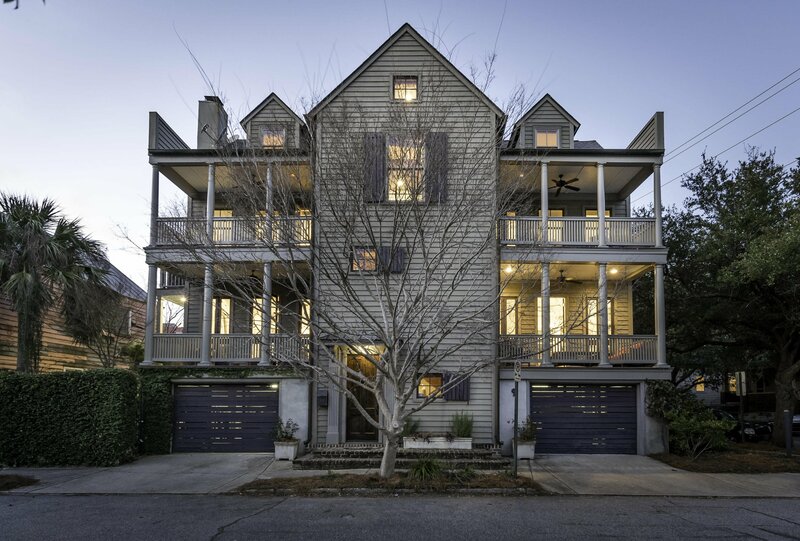 Listing courtesy of Land South Of Charleston, Llc.